Roller-coasters (Rampways): The optimal transport system. Roll down-no motors; roll up-no brakes & energy captured. The Hyperloop is toast! Energy must be added to move an object (e=½mv²) to start it, but the energy must be removed to stop it. Brakes waste the energy by converting it to heat. Regenerative braking can capture ~70% of the energy. Rolling up an incline captures almost 100% of the energy - almost no energy is wasted as heat, light, or noise. Since gravity is the impelling force, carriages need no motors nor is wheel-track adhesion a consideration. Trains can arrive every minute if desired. Carriages roll down ramps (causeways or rampways) from elevated stations and roll up at the next elevated station. Rolling down they convert potential gravitational energy into kinetic energy of motion; rolling up, they convert kinetic energy of motion into potential gravitational energy. An angle of .103 degrees is required overcome a coefficient of rolling friction of .0018. An angle of ~ .1 degree means a vertical drop of ~ 2 millimeters for every horizontal meter to be traveled. To travel 100 kilometers will require a drop of ~ 200 meters to overcome friction. For local intra-city trams, with local stop-to-stop distances on of the order of 400 meters, (http://humantransit.org/2010/11/san-francisco-a-rational-stop-spacing-plan.html) stop heights of 16 ft (4.9 meters) will accelerate trams to a velocity of 20 mph (33 kph). For express stops, heights of 64 feet (19.5 meters) will result in a 40 mph (64 kph) velocity. Carriages will never roll up as high as they started; some energy (solar) will have to be provided to drag the carriages up to the next station. Rampways will be made of immense amounts of carbon sequestering materials. I propose that we replace all current modes of transportation with monorail roller-coasters ie "Rampways." A. Theoretically Zero energy is required to move (absent friction). This is Newton's 1st Law of Motion. B. Friction can (almost) be eliminated with roller bearings. A common value for the coefficient of friction is .0018. However, even a value of +/- 10% of that value would not change the basic design. A lower coefficient of friction would result in a slightly higher speed, lower necessary station height, or greater distance between stations. The basic design would remain the same. C. Energy must be added to an object to get it to move (E=½mv²). The most efficient means of adding energy is to roll downhill. There is almost no energy lost as heat, light, noise, etc. Potential E of gravity → kinetic E of motion. D. Energy must be removed from the object (usually wasted by brakes as heat) to stop it. If this energy is captured and reused it's "regenerative braking." E. The most efficient means of capturing kinetic energy of motion is to roll uphill. Kinetic E of motion → potential E of gravity. Braking is almost 100% efficient. Almost no energy is lost as heat, light, noise, etc. Compare gravity as an energy storage method vs any other on cycle life (infinite times ) and self discharge rate (never discharges). I propose that, on land, elevated stations be connected by rampways made from carbon sequestering materials. These rampways can be considered as causeways. The rampways constitute a circuit, with stations dispersed along this circuit. The scale can vary from the very small to the very large. The system can range from being a "people mover" between terminals at an airport to an intra-city tram with stops at every street intersection to an inter-city line with stations at major cities to a transoceanic roller-coaster using giant floating spar buoys. There might be a shallow decline in the center to maintain velocity against inevitable friction losses although this is not imperative. System design might specify a level stretch between stations with a given deceleration from friction. For short intra-city trams this will probably be the case. Stations must be at equal attitudes. Most will be elevated, but in hilly regions some may be at ground level, or even subterranean. This plan is best implemented in relatively flat areas. Carriages accelerate as they roll from a station down a declined rampway until, at some point, they reach the beginning of the inclined ramp leading up to the next station which they then roll up. The exact points at which the rampway changes from decline to incline will be determined by design criteria. When train A approaches the incline up to the station, train A connects to the chain which will drag it up to the station. At the same time it closes an electric circuit which energizes the motor that causes the chain to drag the carriage up the incline and into the station. Once in the station, at a set point the electric circuit is broken, and train A stops until another train arrives. Doors never fail to open. The doors of the train move vertically and have pins at the top. There is a door-elevating railing along the track in the station, starting low, angling up to the horizontal, then angling down at the end of the station. As the carriage enters the station, the pins on the doors ride up along the door-elevating rail, lifting the carriage's doors, thus opening it for passengers to board and disembark. When a second train, B, approaches the station, carriage A, which is still engaged with the same chain, is again moved by the chain (which restarted when the train B approached the station). As carriage A moves along, the doors descend as the pins ride down the descending section of the door-elevating rails. When the carriage reaches the edge of the station it disengages from the chain and rolls down the decline. Every nth car carries freight. This entire system is automatic and untended. No conductors, engineers, or other personnel are needed. The system runs at constant full capacity 24 hours a day, 7 days a week, 52 weeks a year as each train follows its circuit.There are no switches. Trains can run every minute if desired, since the carriages require only wheels (with very good bearings) and so are cheap and simple to build. . This is a "hop on, hop off" system. Show up, wait a minute or two, and board the next train, free of charge. This system provides unlimited mobility. This is a world without private cars and with free transportation. This is not perpetual motion. Trains rolling up to the next station will never rise as high as previous station. Energy lost through rolling and air friction must be replaced by dragging the carriages up the last bit to the next station, presumably by a chain mechanism. An angle of .1 degree means a vertical drop of 2 millimeters for every 1 horizontal meter to be traveled. To travel 100 kilometers at a constant velocity will require a drop of 200 meters. Note that the actual height of the stations will have to exceed the 200 meters to accelerate the carriages, An initial drop of 480 meters (total height of 680 meters) will accelerate the carriage to 320 kph (200 mph). Building a 680 meter high station is not a very difficult task The Great Pyramid of Giza was 146.5 meters (481 ft) high, and was built 4500 years ago. Surely, today we can better that by a factor of less than five. Allowance must be made for air resistance. 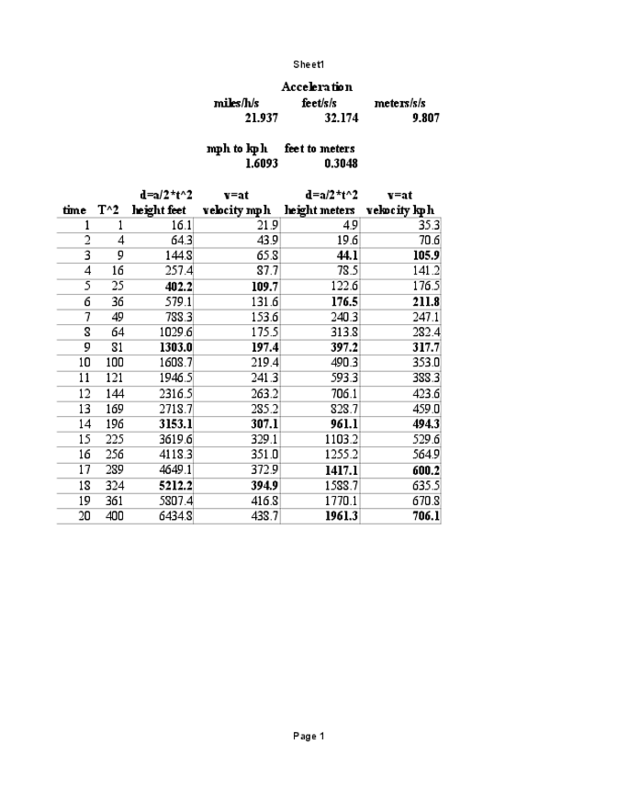 Air resistance increases with the square of velocity but is unrelated to mass or density. A ten car train moving at 320 km/hr (200 mph) will have a drag of about 5800 kilograms of force. Since the cars are not powered, there is no air resistance from overhead pantographs. Streamlining can be optimized. A tungsten (density 19.25 gr/cc) ballast at the bottom of a car, say, 10 meters x 3 meters x .05 meters (15,000,000 cc) would add more than 280,000 kilograms to the car's weight. Ten cars would weigh an additional 2,800,000 kilograms. The additional thrust at .1 degree slope would be Sin(.1) x 2,800,000 kilograms = 48,000 kilograms, about 10 times the drag, although rolling resistance would also increase. I propose that the necessary energy be provided by solar power. The tracks must have canopies covering them to shield them from rain, snow, hail and debris. These canopies will have solar panels on top. The energy provided by the panels will directly power the system during the day while charging batteries that will power the system at night. Because of the extremely high efficiency of the system, the amount of energy necessary will not be great. Much of the energy of the moving trains will be captured when they roll up to the stations. Imagine. One can achieve a velocity of about 300 mph just by rolling down a ramp about 3600 feet high, or a velocity of 700 kph by rolling down a ramp 2 kilometers high. I propose using blocks of biochar concrete with minimal structural complexity (think Lego blocks) and impervious to high speed winds. Baked biochar has the compression strength to reach these heights. A drop of 6000 meters (high, but not impossibly so) would result in a velocity of the speed of sound, 1236 kph). Rising sea levels threaten coastal cities. One defense is levees, walls between land and water. The higher and thicker the levee, the greater the protection. Levees will be built. The opportunity exists to incorporate rampways on top of the levees as part of the design. Once the levee-rampway is constructed, it requires little imagination to see rampways built as fingers, perpendicular to the levee-rampway, reaching into the interior of the city, and finally rampways parallel to the original levee-rampway all together forming the transportation network of the future within the heart of the city. The rampway system would be carbon negative. Blocks of clay with biochar can support ramps greater than 2 kilometers or 1.2 miles in height. Various plants can be used to produce the biochar. Duckweed, for example, can double in volume every 24 to 48 hours. Within a year, duckweed can multiply (theoretically) to a volume much greater than earth. Other fast growing plant possibilities are bamboo, hybrid poplar, eastern cottonwood, acacia, or kudzu. The very large scale production of vegetation to be used in the development of a rampway transportation system would be a major carbon sequestration asset. It would cleanse the atmosphere of CO2. The sale of carbon sequestration credits could pay for the system. Consider the positive feedback loop: To go faster, go higher; to go higher, sequester more carbon. Sequester more carbon and earn more carbon credits. This is a win, win, win situation. Rampways can also span oceans. I propose that rampways span oceans using floating tubular spar buoys at least one mile high. These buoys will be connected by tracks suspended between the buoys supported from a maximum height of at least one mile drooping to a minimum height of, say, 500 feet (in order to clear the ocean surface with sufficient height to avoid waves and salt laden spray). Rising and falling water levels inside the hollow tubular buoys caused by ocean heaves would propel air through a turbine at the top. The energy produced by the turbine would drive the mechanisms to raise cars up to the top of the buoys. This system is not complicated or difficult; if the Romans had known of the roller bearing they could have implemented it 2000 years ago. What the Romans accomplished 2000 years ago, we can do today. This system is not perfect - no system is. A long distance high speed ~ 200 mph inter-city system will require construction of a network of vast towers. However, there is no system of mass transportation that is more efficient. Yes, energy will be lost from air resistance and rolling friction, but every system wastes energy; this one wastes the least. Nor is there any system of transportation that will sequester more carbon, and that is the most important criterion of all. Intra-city systems will be built by local municipal authorities. Inter-city systems will be built by whoever is responsible for current roads. In the US this would be the Federal government. Trans-oceanic systems will make current ocean shipping obsolete. Therefore, as a survival strategy, I envision consortia of shipping companies joining to build the systems. Those firms not members will disappear . Everywhere on earth that people travel using vehicles. Wherever there is a road today, there will be a rampway in the future - stainless steel or titanium monorails on masonry beds of carbon sequestering bricks, creating a network that spans the globe. There will be at least a local stop within a very short distance (perhaps 30 meters or 100 feet) to every place on earth that there is a parking space for an automobile. Initially, rampways will be built in coastal cities as add-ons to levees. The rise of sea level is inevitable, at least until we can sequester carbon from the atmosphere. The alternatives are to abandon coastal cities, or protect them with levees to hold back the oceans. Levees are inevitable, and it is a small matter to design rampways along the tops. When this plan is fully implemented, i.e. when all transportation is by rampways ie all public roads are replaced with rampways, carbon emissions from transportation will be reduced to zero. Much more important, however is the urgent goal is to reduce CO2 levels in the atmosphere. Most studies specify a target of 350 ppm. 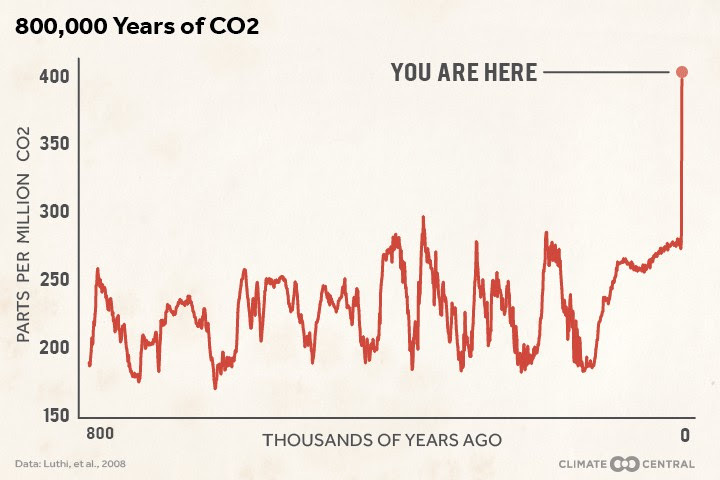 The following illustration show our present condition, and the annual changes in CO2. From the third illustration, one can see an annual CO2 variation from about 397 ppm to 407 ppm from changes in vegetation. This demonstrates that it is possible to make significant changes (reductions) in atmospheric CO2 on an annual basis resulting from changes in vegetation. Rampways as levees offer protection to coastal cities. Extremely feasible. To get from point A to point B build a ramp from A to B and roll down the ramp. The rampway is the most efficient means of mass transportation. The rampway has fewer modes of failure than any other means of mass transportation. The rampway is the simplest means of mass transportation. "Wheel slip" and "adhesion limits"  do not apply. The rampway requires fewer employees than any other means of mass transportation. The rampway is less vulnerable to terrorist attacks than any other means of mass transportation. Assuming that the rampways are built of carbon sequestering materials such as bricks of baked clay with biochar the rampway will sequester more carbon than any other system of mass transportation. The rampway is the safest system. There are no switches or grade crossings. The proper question not what are the costs of the proposal, the real question is what are the costs of not doing it? 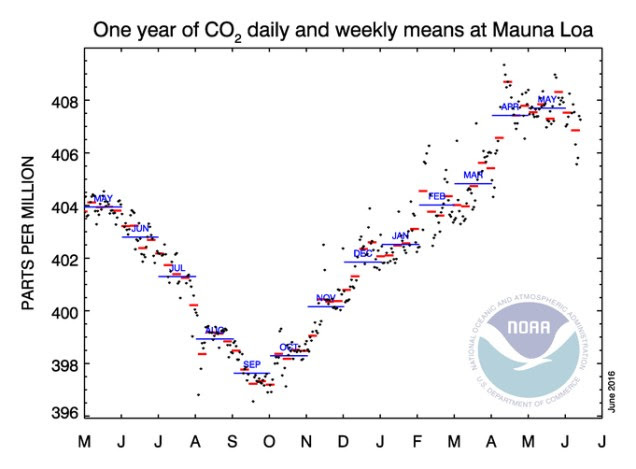 CO2 in the atmosphere is increasing at a rate of 2 ppm per year. We are currently at 400 ppm. Anything over 350 ppm is unsafe. It should not be necessary for me to enumerate the costs of global warming. One trillion dollars a year is an estimate for the costs of sea level rise alone. Also, it is impossible to estimate, at this time, the price of carbon credits. Commodity prices can vary immensely. From 1970 to 1980 the price of gold went from about $200/oz to about $2000 per oz. From 2005 to 2015 the price of corn went from $180/bushel to $800/bushel. From 2008 to 2009 the price of oil went from $150/bbl to $50/bbl. Build scale models for elementary, middle, high schools and science museums. Begin designing prefab roller-coaster "people mover" systems such as can be installed eg in airports between terminals and long term parking lots. Very Short Term 1-5 years. Begin reasearch into the growth of vegetation for carbon sequestration: build vast lakes for duckweed; plant square miles of bamboo and other fast growing trees. There is no time to lose. Install prefab rampway people movers to replace shuttle buses in airports, etc. demonstrating the basic principles of a working system. These will not be carbon sequestering, rather they will be made of structural steel, aluminum, or titanium. Begin protection of coastal cites by construction of rampway/levees to protect them. Rampways can be incorporated in the design of levees. If levees are to be built, make them rampways in addition. Almost by definition, levees are built at sea level, and hence ideal for rampway design. Short Term 5-15 years. Begin intra-city rampways on streets, boulevards and avenues in cities. Begin inter-city rampways along sea level coasts and in the Plains states. Medium Term 15-50 years. Complete transcontinental rampways. 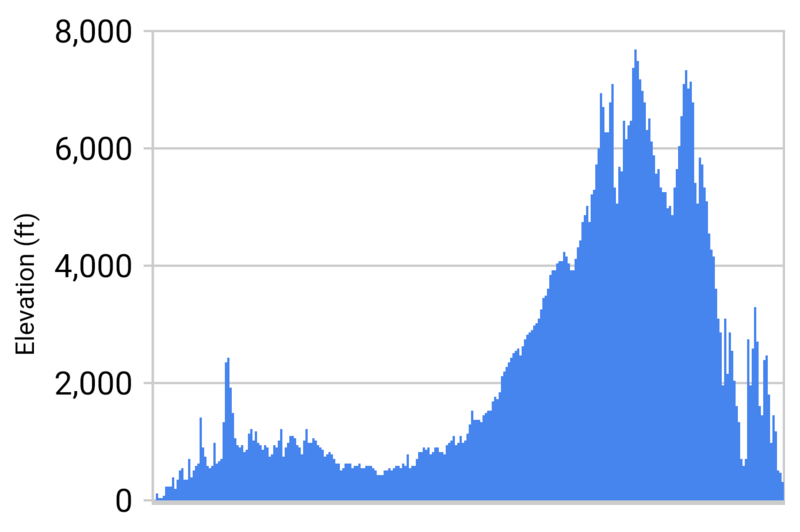 A New York to Los Angeles route following present bike routes has intervening peaks of almost 8000 ft requiring 8000 ft high stations (at the sea level ends). Intermediate stations will have the terrain elevation upon which to build. The advantage are massive carbon sequestration and velocities, at the low points, in excess of 430 mph. Alternatively, excavate gorges to level the route and reduce the necessary height of stations. (below, elevation of flattest current NY-LA bike route). Long Term 50-100 years. Construct transoceanic roller-coasters using floating spar buoys. Construct speed of sound rampway systems.